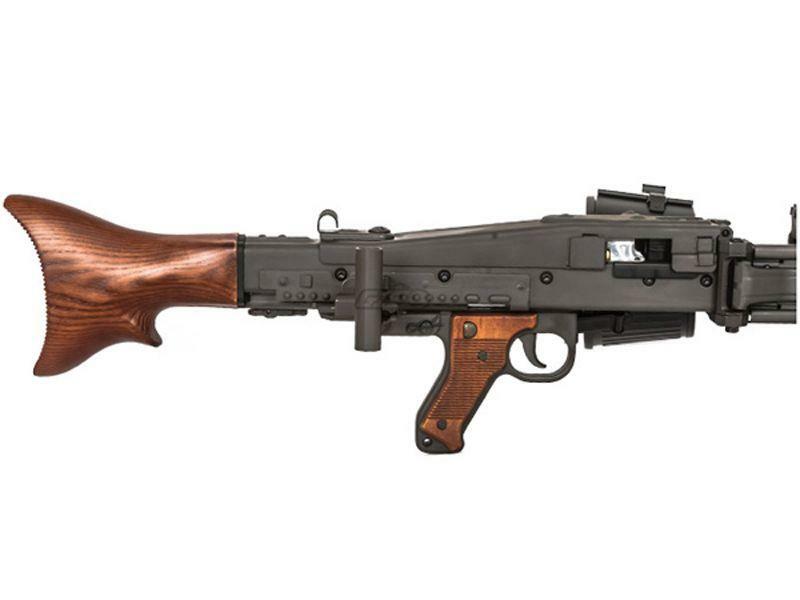 G&G GMG42 AEG Machine Gun | ReplicaAirguns.ca | New Website! 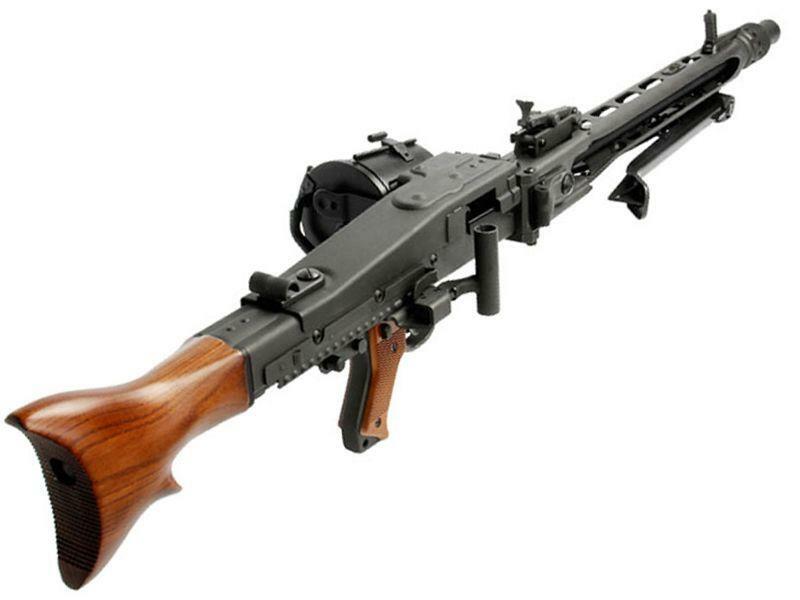 Comments: Commonly known as "Hitler's Buzzsaw" by American soldiers during WWII, the GMG42 Machine Gun is a legendary rifle used extensively by the Germans during the second world war. This AEG replica stays true to the original version, with a realistic charging handle, trigger, and heavy weight construction. The real wood stock and grip feature an authentic weather resistant parkerized finish. 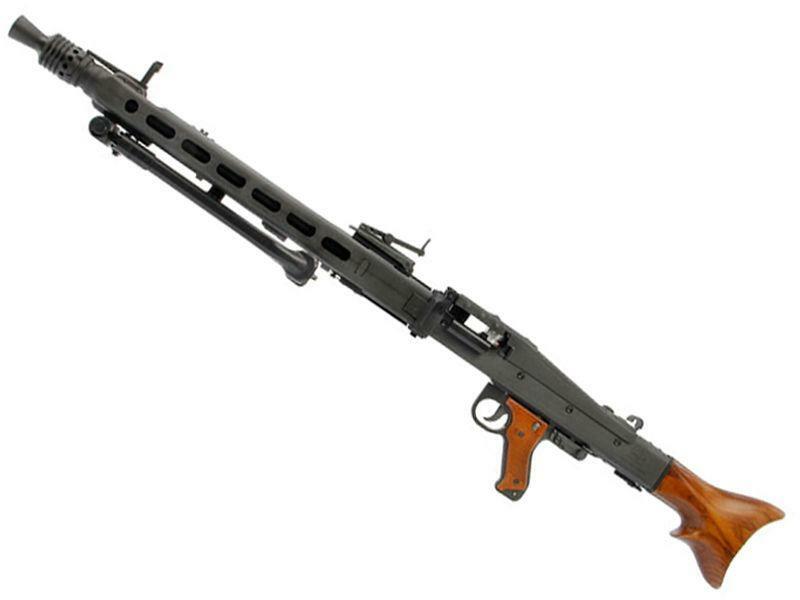 Internally, the weapon is powered by a 25000rpm high torque long axis motor and has a custom full metal 10mm gearbox. 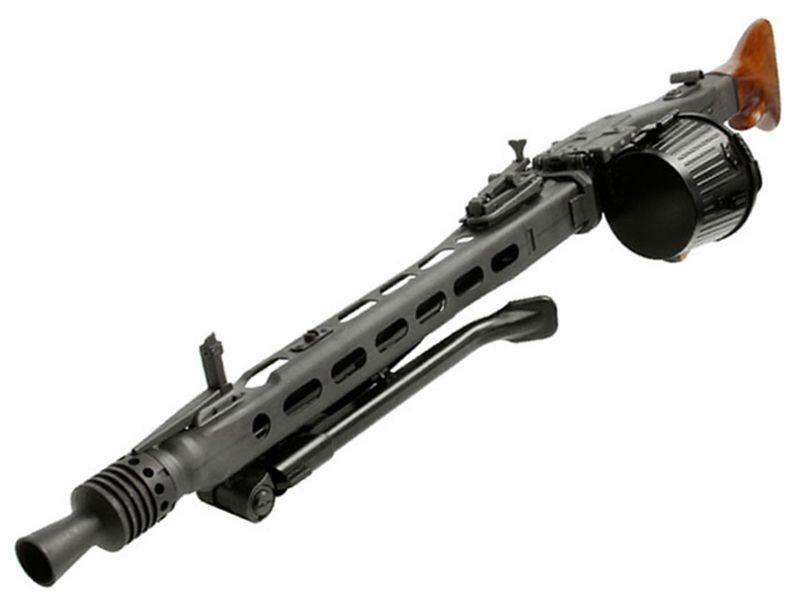 A 1700-round electric self-winding drum magazine and mock ammo belt are included. Batteries and charger not included.